Madrid, March 10 (IANS) Spanish midfielder Saul Ñiguez's second-half goal was all the offense Atletico Madrid needed in a 1-0 victory over Leganes in late-season La Liga action. With their fourth win in a row in domestic play, second-placed Atletico stayed seven points behind league-leading FC Barcelona. They also gave themselves a further morale boost ahead of a critical second-leg round-of-16 contest on Tuesday against Cristiano Ronaldo and Juventus in Turin, Italy. The Spanish team won the first leg 2-0 in Madrid, reports Efe news. With that key mid-week match in mind, Atletico head coach Diego Simeone kept Alvaro Morata, Thomas Lemar and Juanfran Torres out of his starting 11 on Saturday. 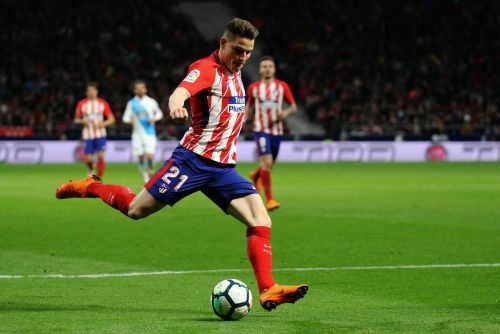 Simeone also was forced to make do without Diego Costa, Filipe Luis and Lucas Hernandez, all out with injuries, and Diego Godin and Koke Resurreccion, who were each serving a one-match suspension. Leganes head coach Mauricio Pellegrino, meanwhile, was missing six players for different reasons. Atletico came out in the early going without much intensity and with little in the way of ideas, while Leganes seemed comfortable digging in defensively with their five-man back line. Attacking efforts by midfielder Vitolo and Argentine winger Angel Correa injected some energy into the contest but did not alter the scoreless deadlock. A great run by the Argentine that led to an off-target shot by French forward Antoine Griezmann and a header by Croatian forward Nikola Kalinic, off a pass from Vitolo, were two of Atletico's few scoring chances in the first half. Atletico midfielder Thomas Partey and Griezmann also tried their luck with long-range shots but were unable to find the back of the net. At the other end, Leganes were unable to open the scoring despite the efforts of forwards Martin Braithwaite and Youssef En-Nesyri. Simeone made two changes after the intermission, inserting Lemar for Griezmann and replacing debutant Andres Solano with Saul, to give his squad more penetration down the left side of the field. The changes paid off almost immediately, with Correa going down in the area and winning a penalty despite Leganes' vehement protests. Although Ukrainian goalkeeper Andriy Lunin blocked Saul's attempt from the 12-yard spot, the super-sub collected the ricocheted ball and put it home. Leganes had no choice but to come out of their defensive shell, but a re-energized Atletico prevented the visitors from mounting a comeback and the entrance of right back Juanfran in place of Kalinic gave a further boost to their defense. Atletico, meanwhile, nearly doubled their lead with shots off the woodwork by Thomas Partey and Lemar, but they focused on preserving their shutout down the final stretch.